We continue with our topic on trade shows with a hands on blog from Marni Franks who is writing her blog from a sales assistant perspective, working for major fabric companies and magazines. Marni is the owner of Frankenstein Fabrics, a patchwork shop in Gosford, NSW. Although Marni is new to being a bricks and mortar fabric shop owner, she is not new to working at trade shows. In the blog below, Marni gives us a detailed, insiders view as to what goes on at a trade show. The secrets are revealed. I’ve been working in the textiles industry since I was 15 and now at the grand old age of 27 I finally have achieved my dream of owning my own craft store. 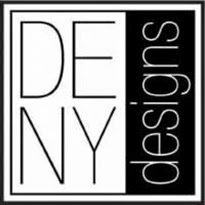 This is about my experiences at craft shows, the ins and outs, behind the scenes and a few tales of the sights and sounds I’ve seen. My first experience of a craft show was as a sales assistant for Craft Depot. I was a full time employee of the shop and part of my job requirements was to attend the shows and wo(man) the stall. The first show was at Rosehill Racecourse. 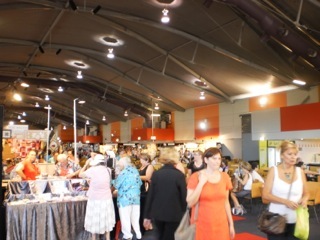 As most shows are between 3 and 5 days there is a day before it starts that stallholders are allowed in to set up. From very early in the morning we all traipse in with our safety vests and start unpacking. The stands are pre-built by the event company – they are petitions very similar to office petitions but taller. Signs and lights are also erected. We’d set up a bench for the registers with all the accouterments of the trade – pens, eftpos machines, extra till rolls – and then fill the extra space with the small items that are upsold -bobbins, tape measures, machine needles, unpickers and other tiny haberdashery. There would be a team of us at setup – my boss and his wife, warehouse staff, some shop staff (including me). This meant that at any one time there would be 10 or so people running around unpacking, bringing more stock in, pricing things, hanging things on hooks, putting things on shelves, storing excess stock underneath shelves and benches, hanging signs and displays. It was a mammoth task but we’d always get it done and then go home for the night. The next morning brought about the first day of the show. There would be a massive crowd outside the doors waiting until they could come in. From inside you could hear the buzz of conversation – like a swarm of bees – and you could sense the impending busyness approaching. There were days that went by in a blur of cash registers ringing up sales, information about products pouring from my mouth and meeting interesting people but there were also times where things got a tad quieter. The days would pass quickly - in the early days it was fun and a challenge – until I got used to the routine of it and it became second nature. The worst part was the pain in my feet and legs after nearly 8 or 9 hours standing up. My second experience of shows came with my next job in the craft industry. 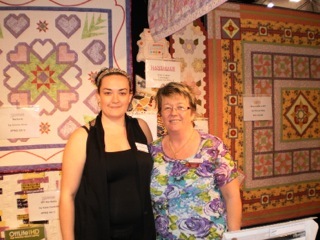 I’d been working for Australian Patchwork & Quilting magazine for about 8 months when I was asked to take on the job of travelling around Australia and doing the shows. This meant more involvement in the organizing of the stock, freight and paperwork than in my previous show run but it was a great challenge. On the first day, I’d pin the quilts up on the walls or display, set up the tables with product, magazines and other displays, check the register and eftpos machines, hang signs and prepare the box for the competition entries. Working the days at the shows for the magazines weren’t overly taxing – most sales were fairly straightforward and the only technical aspect were the deals for the subscriptions. The craft industry is a great place to be – and as much as we are in competition in a retail sense we are still friends and family. A terrific community – albeit with the regular kind of politicking, it comes with the territory in any business. 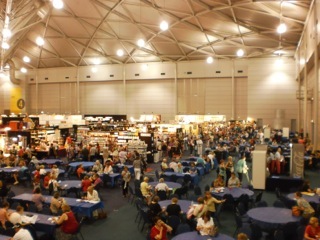 My advice is if you want to try attending a show, see if you can find a stallholder who needs staff – get some hands on experience, or join some of the local markets in your area as this will give you organizing experience on a smaller scale and prepare you for some aspects of the process. I will warn you it is expensive but if you are prepared to take the risk it can be well worth it – the amount of people traffic coming through is incredible and they all walk past you. If you can’t do markets or there are no stallholders who need staff make sure you can at least go to a show, see the sights, pay attention to the layout, details and talk to the stallholders (but if they have time – everyone would be happy to talk but maybe not right on the spot if it’s busy). Take notes and be prepared. 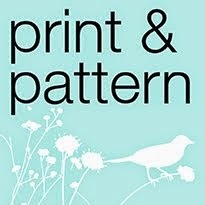 I am about to participate in the show at Darling Harbour in June, but this time it is as my own business. Thanks for having me Cheeky Pickle and I hope everyone enjoyed my very long rambly read. Thanks so much Marni and we all hope that Darling Harbour goes really well for you, you deserve it. I hope that blog hasn't put you off, but has only made you eager to learn much more about trade fairs. The next Trade Fair blog instalment is coming very soon.